As a company, Amazon is as well-known for selling digital books via its Kindle Store just like it sells everything else you could ever wish for via its online warehouse. In fact, not many people actually know that Amazon originally started as an online seller of books before after diversifying and including DVDs, CDs and video downloads as part of its arsenal of products. 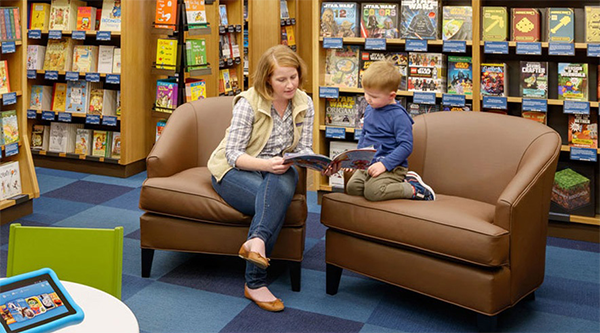 Now, after twenty years of selling digital reading material, and after massive expansion into electronic commerce and cloud computing, the company today has opened a physical bookstore in its home city of Seattle, Washington. The store is called Amazon Books, and represents Amazon’s move into actually having a physical presence in the real-world, rather than existing purely online. The outlet is also Amazon’s first physical bookstore after spending more than twenty years operating as one of the world’s largest seller of published content online. Don’t expect Amazon Books to be like any other book shop you see on the high street however, as Amazon will be utilizing its extensive data sets to decide which books to stock. To determine its inventory, Amazon Books uses customer ratings and sales totals, as well as other data, such as the input of specifically trained and knowledgeable curators, to decide which books best resonate with those passing through the store. The store also differ from the usual physical book outlet in the fact that Amazon uses the well-placed retail space to showcase its array of branded electronic devices. The Kindle, Fire TV, Fire Tablets, and The Echo, are all available in store for consumers to interact with and purchase if desired. The outlet itself is located centrally within Seattle’s University Village and exists to serve the book-loving public seven days a week. The fact that the monolithic retailer has stated that this is going to be a permanent residence in Seattle, rather than just a temporary pop-up style shop, suggests that Amazon is seriously looking at expanding into occupying physical retail locations to push physical books and associated reading devices. It seems that the thing that made the company successful could also be the catalyst that drives its expansion into physical retail.